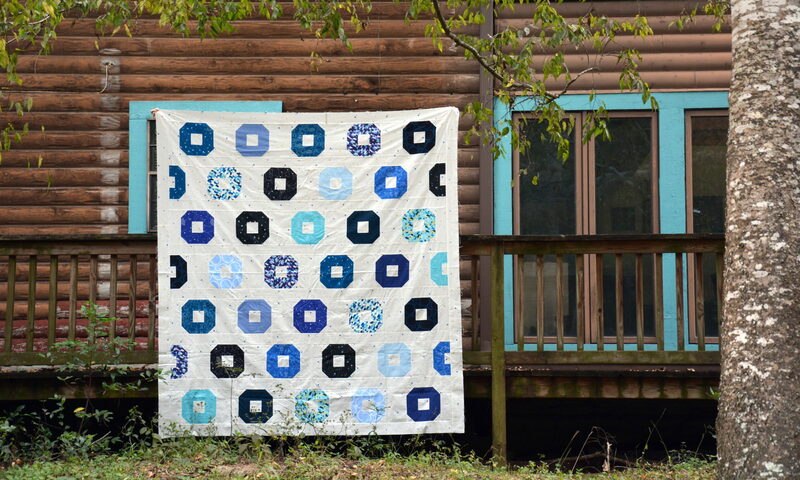 One of my sewing adventures for 2012 is the Take A Stitch Tuesday (TAST) stitch-along. 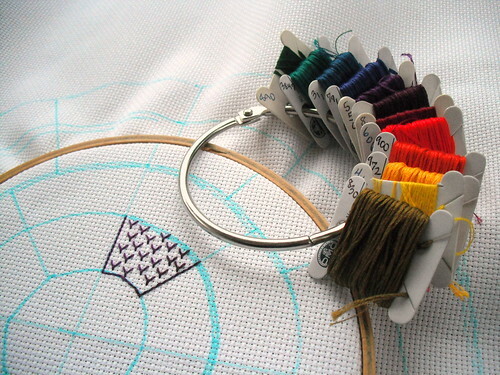 I'm still pretty new to the world of embroidery, so this is going to be a great way to learn 52 new stitches. I'm going to turn these practice stitches into something totally cool as well that I am SO excited about. Last week's stitch was the fly stitch. It's very easy to make and looks neat as well. 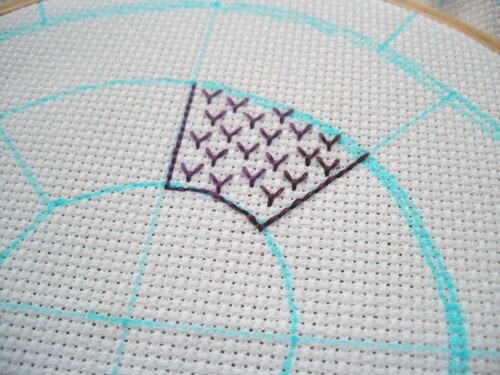 And here's a hint as to what I'm going to turn all of these practice stitches into. Any guesses?